I’m 37 years old, standing in my kitchen being dumped and I’m just as emotional now as I was at 16. I feel a wave of heat come over me almost like I might pass out. I can’t believe this is happening even though I feared it was coming for months. Our nanny just broke up with us. I can’t get back out there. The thought of searching the web, awkward first meetings, and the careful dance of letting them go if it doesn’t work out — it’s all so dreadful to me. Who ever thought our nanny’s resignation would hurt more than a high school breakup? Finding a new nanny is far worse than any dating scene I’ve ever been a part of. 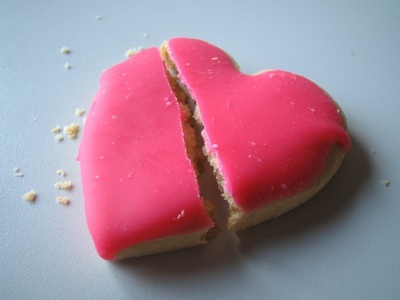 Yet here I am, after a year of the most wonderful courtship that caused me, my husband and our two year-old daughter to fall head over heels in love, is over. Our amazing nanny was unattainable from the start. She let us know from the beginning that she always wanted to be a teacher. And, like any unattainable love, we were lucky to have what we did for one amazing year. My daughter will be heartbroken, which is without a doubt the saddest part to me. Cupcakes for birthdays, crafts each week, she even made a mother’s day gift for my mother-in-law. No one can top that — not even the most elite preschool! There will be tears and heartache and a mad frenzy to replace her (three weeks and three days to be exact). Can I start a new relationship that fast? I guess am going to find out. We’ve consistently used care.com or sittercity.com, but I’m wondering if there are any other hidden gems out there I’m missing. Thanks for your advice and support! We absolutely love what Asha and Christine are doing at ParentHacks–they are donating October royalties of their book Minimalist Parenting sold through a special link to benefit women in Ethiopia. As a mother to a two year old daughter, this touches me on so many levels. We are blessed to have the opportunities we have here, and this is a harsh reminder of the realities that exist elsewhere. 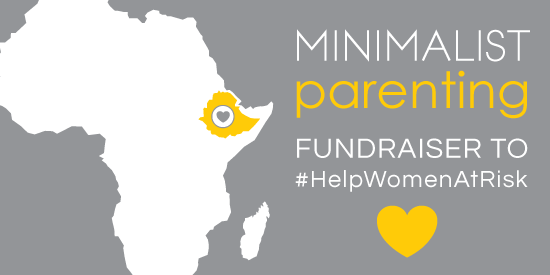 Get a great book (we’re big fans) and help women in Ethiopia at the same time by using this special fundraising link: http://bit.ly/helpwomenatrisk.